In the last 12 to 18 months, there has been an upsurge in the number or applications for authorisation to the Central Bank of Ireland (‘CBI’), primarily from UCITS Management Companies, AIFMs and MiFID Investment Firms. In fact, some firms have been successful in obtaining all three authorisations. The rationale is clear - these firms wish to retain their EU passporting capabilities post-Brexit. For those firms seeking authorisation, they have had to strike a balance between being ‘operational’ and being ‘ready to operationalise’. This is not an easy balancing act when a firm must be authorised before it can operate, but in order to get authorised, it must be able to demonstrate that it has sufficient substance in Ireland to be able to operate effectively. A large part of the challenge with this is attracting the right people to fill the Pre-approved Control Functions of the firm, and allowing sufficient time to perform due diligence on those individuals, and obtain Board and CBI approval. Firms should assess which roles are required to be filled and located in Ireland. This is a risk based assessment, and reflects the business plan and proposed operating model of the firm seeking authorisation. It will also be guided by the CBI, their perception of the risk associated with the proposed firm and their ability to supervise the firm effectively. As a result, not every firm seeking to establish a presence in Ireland will be required to have the same level of substance. For firms that have successfully obtained their authorisation, many have had to make some departure from their original plan in response to recommendations and/or direction from the CBI. 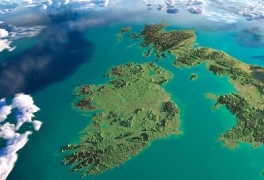 In addition to the regulatory authorisation required to operate in Ireland, other key areas of focus for firms establishing here have been their obligations with regard to tax, GDPR, resourcing, premises, technology, and for many, the logistics and costs associated with relocating individuals to Ireland. The coordination of all of this has required skilled project management and flexibility to change plans as the goalposts have moved. Firms who have successfully established their business in Ireland should be commended for coming out on top of a very challenging process. Looking forward, from a regulatory perspective, it will be key for newly authorised firms to operate in the manner in which they have advised the CBI. Within the CBI’s PRISM framework, firms will be examined periodically to assess whether they are operating as they intended and in compliance with applicable regulatory requirements. They will be expected to notify and in some cases seek approval from the CBI for material changes to their operating model and/or governance structure, and to bring important matters to the attention of the CBI as they see fit, in particular issues related to Brexit which have yet to materialise. 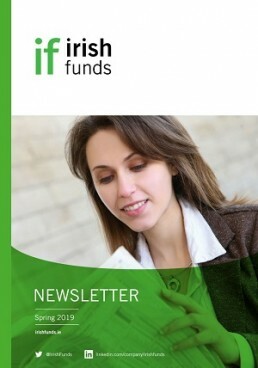 Looking forward, from a market perspective, it is anticipated that these newly authorised firms will embed themselves in the sector and be welcomed into a well-established network of fund management and asset servicing professionals in Ireland which has been cultivated by Irish Funds. The growth in the sector is hugely positive from a local perspective, and new firms should be encouraged to reach into the market for support and insight as they settle in Ireland. 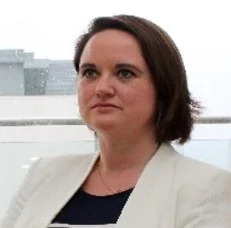 Laura Wadding is Director in Regulatory Risk at Deloitte, Ireland.